Carbone Panamá presents its line of aluminum and PVC machines of European quality and its accessories in Panama. ACK 420S Up-cutting Saw Machine with hydropneumatic power cutter blade for adjustable soft cutting, Spray gun included and intermediate angles through locking handle. Includes single-phase 220V / 60hz plug. 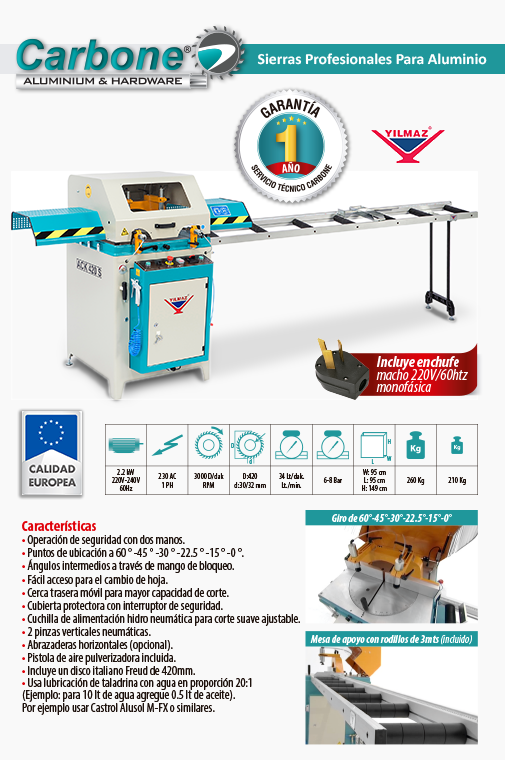 Carbone Panamá we present our new line of aluminum and PVC machines of European quality, you can find a great variety of machinery, like the ACK 420S Up-cutting Saw Machine.